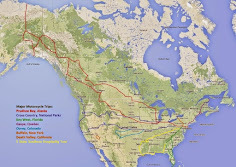 Last year I rode across 5 new states in the south to add to my list and one of the cities I had put on my route was the city of Dallas. The city is well known for its oil industry and is home to the third-largest concentration of Fortune 500 companies in the nation. The city has beautiful architecture and as you approach it from the south you see the sun reflecting its tall shining buildings in its center. 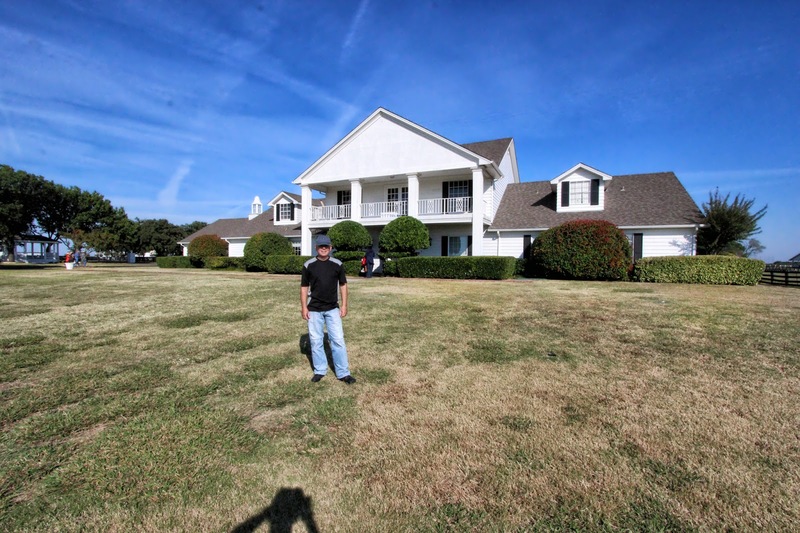 I will make another post about my visit to the city but this post is about another very well known place in Dallas, the Southfork Ranch or the "Ewing Mansion", which was the setting for the Dallas television series which aired from 1978 to 1991. I remember watching the series in South Africa and being glued to the television during the "Who shot J.R." episode in 1980. I could not pass through Dallas and not visit the home made famous by the show. I will not bore you with details, you can read all about it on the Wiki link below, I will just say the show was not filmed inside this house and the road below leading to the famous entrance has always been paved even though in the show it appeared dusty and made of gravel, all Hollywood magic. 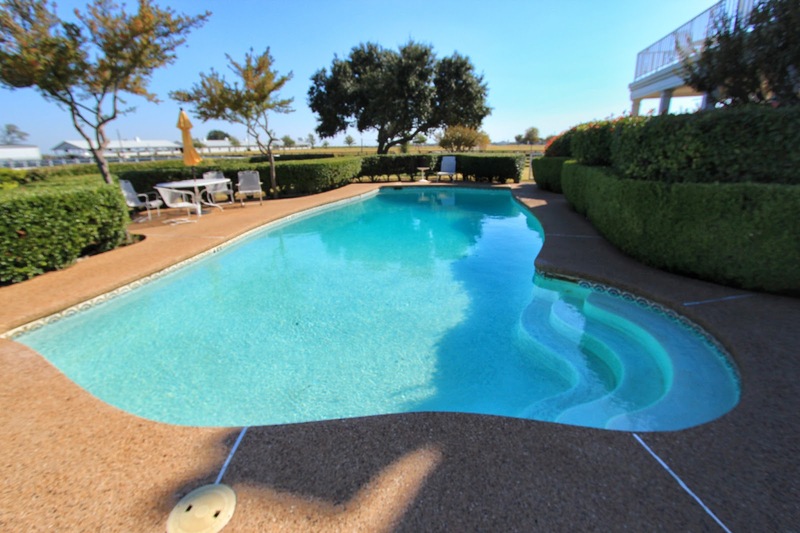 How many times did we see Bobby (Patrick Duffy) or Pamela (Victoria Principal) coming out of this pool? looked gigantic in the show, as explained by our guide, all done with mirrors to make it appear much larger. It's about the same size as my own pool. 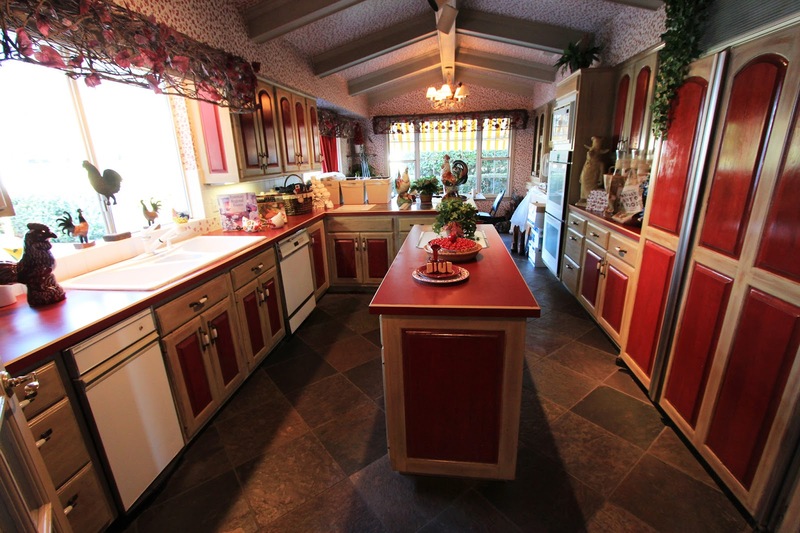 The famous kitchen where Miss Ellie Ewing would prepare her meals and barbecues. 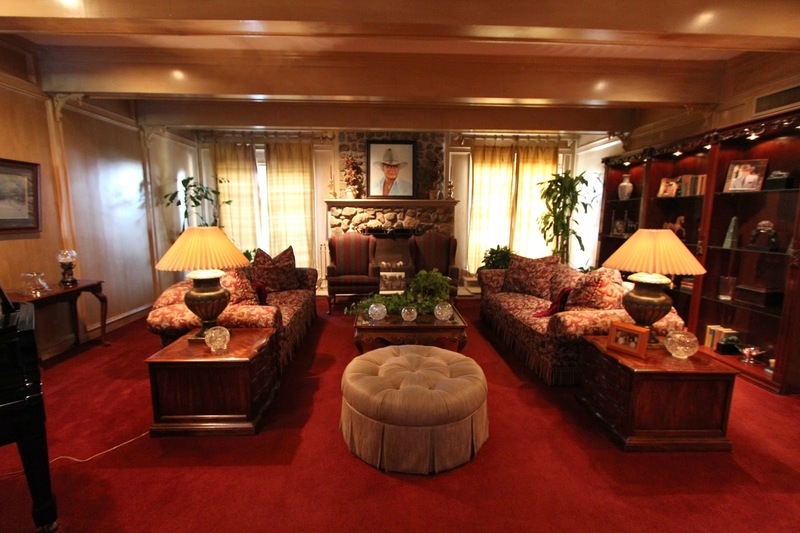 The main living room where the oil and cattle rich Ewings would have a drink and talk business with their dad. 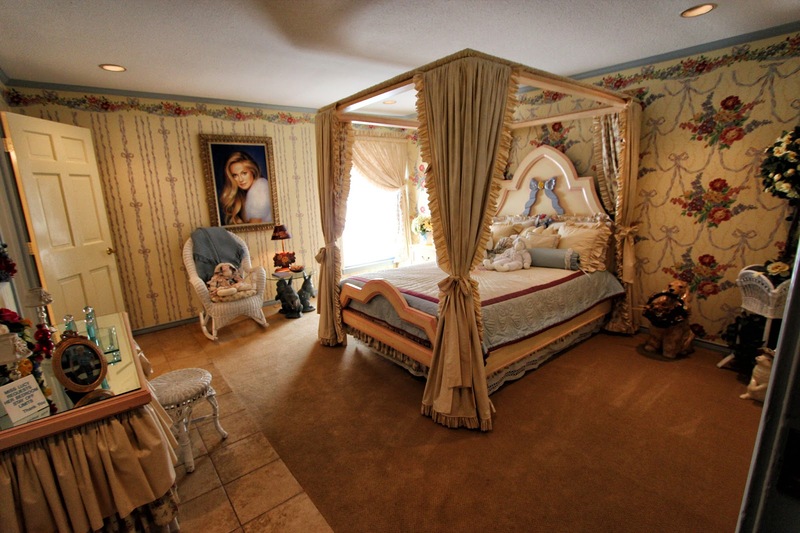 A beautifully decorated bedroom where Lucy, Charlene Tilton, would spend time crying. 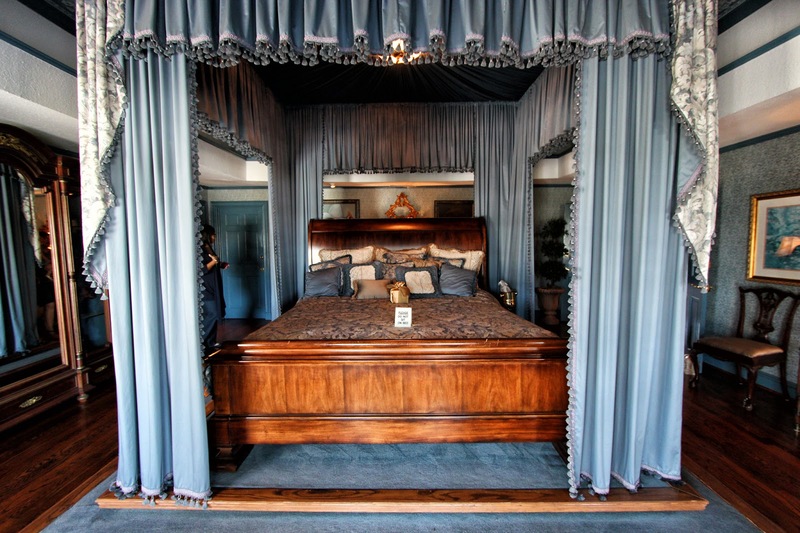 J.R. and Sue Ellen's really large bed in another beautifully decorated room. 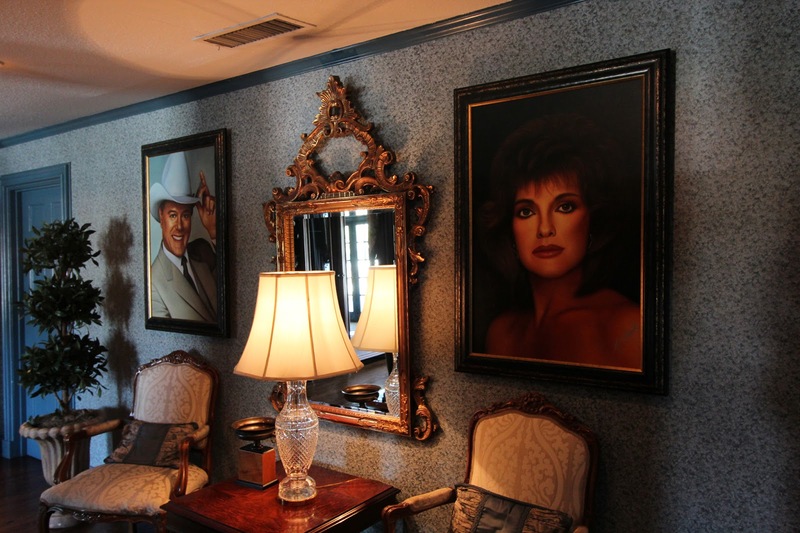 The fights between J.R. and Sue Ellen were always interesting and her drinking scenes provided drama to the series. 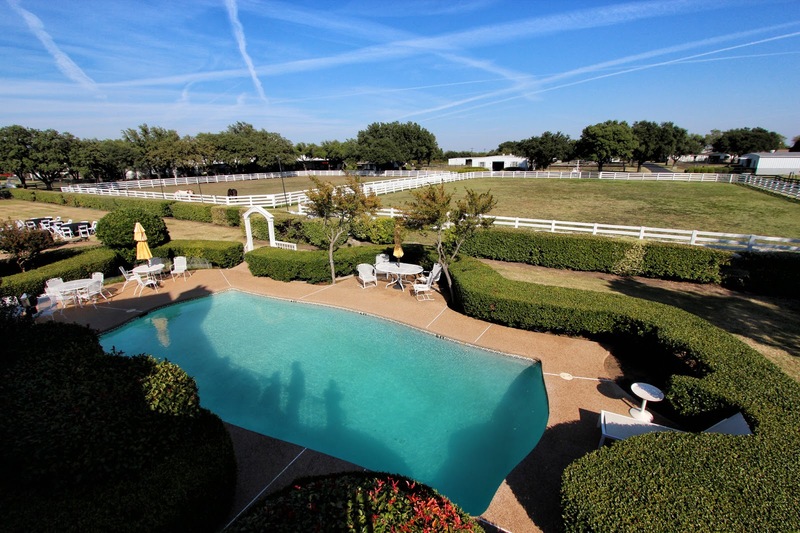 From the famous balcony where the Ewing's would view their ranch and the Olympic size pool. The pool is also where would-be murderess Kristin Shepard’s body is discovered floating after supposedly J.R. pushing her. The funny thing is there's no way anyone falling from the balcony could fall in the pool, most likely you would fall on the bushes below and not even get hurt. The pool is pretty small compared to the average pool in Texas. 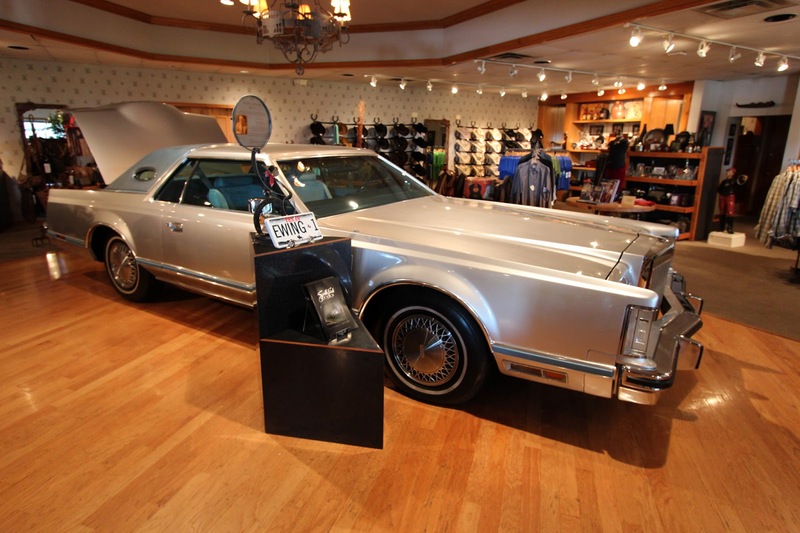 The Ducane Gas Grill company, one of the industry's gas grill pioneers was asked to develop a luxury version of their product for the Ewing family. 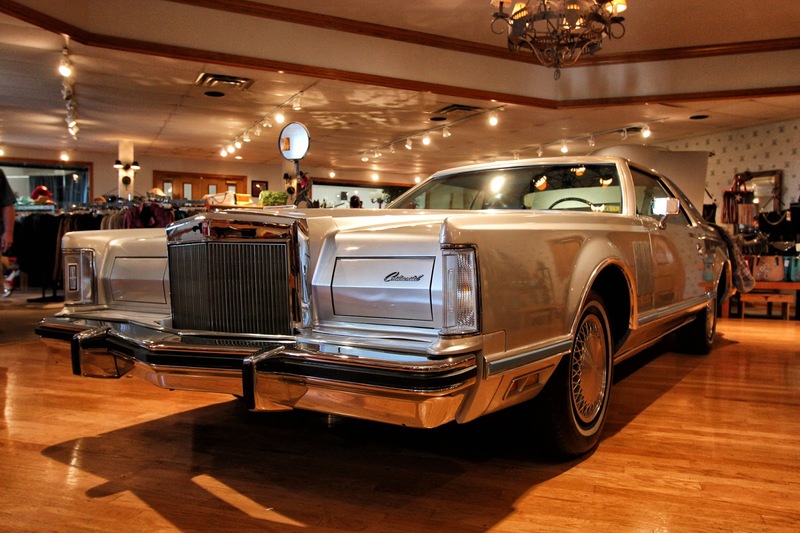 The grill was named the Ducane Southfork and was truly Texas-sized. 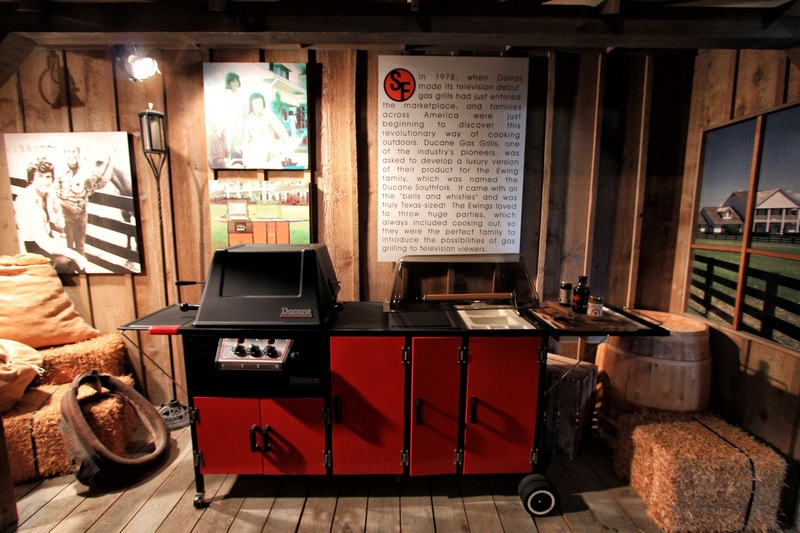 The Ewing's were always having barbecues and parties with the grill helping to launch the possibilities of gas grilling to television viewers. 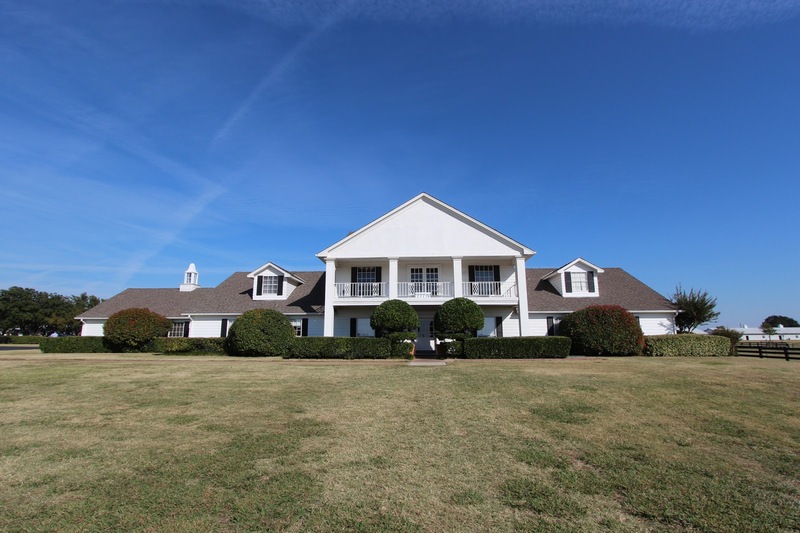 The front of the "Mansion" at Southfork Ranch is actually a 5,900 sq ft house with a 957 sq ft enclosed garage that was turned into a den/card room. The house was only used for outside shots with the inside filming done in a studio in Hollywood. In 1979, I and probably thousands of other teenagers fell in love with Pamela, Bobby's wife. Her orange swimsuit and the scene of her floating in the pool on her back made an everlasting impression on me. The pool scenes are permanently archived in the back of my brain. I had to ask another visitor to take a photo of me in front of the Ewing's palace. 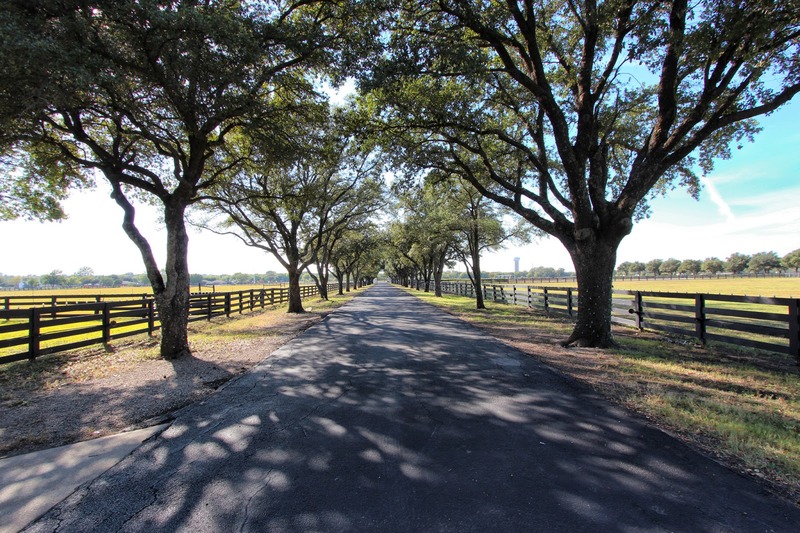 It was a hot summer Texas day and I had just ridden up from downtown Dallas through tremendous traffic, it felt good to be inside the air conditioned house. 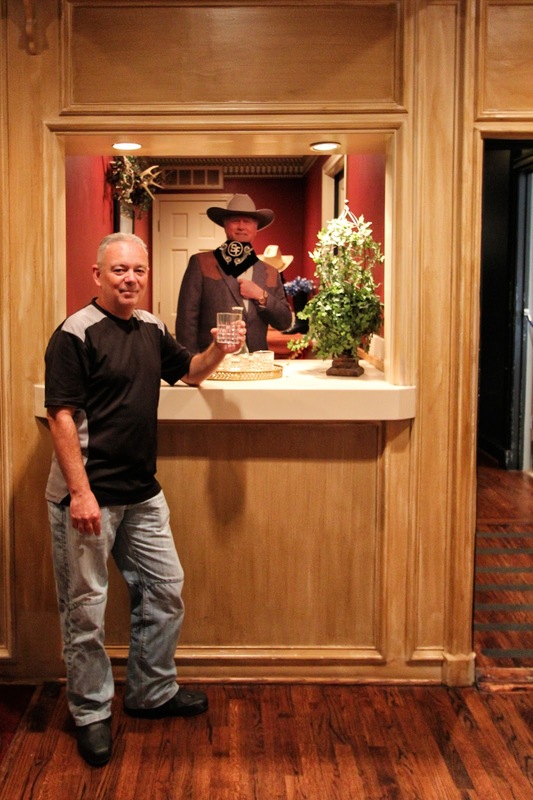 Toasting a drink with the beloved J.R. Ewing. 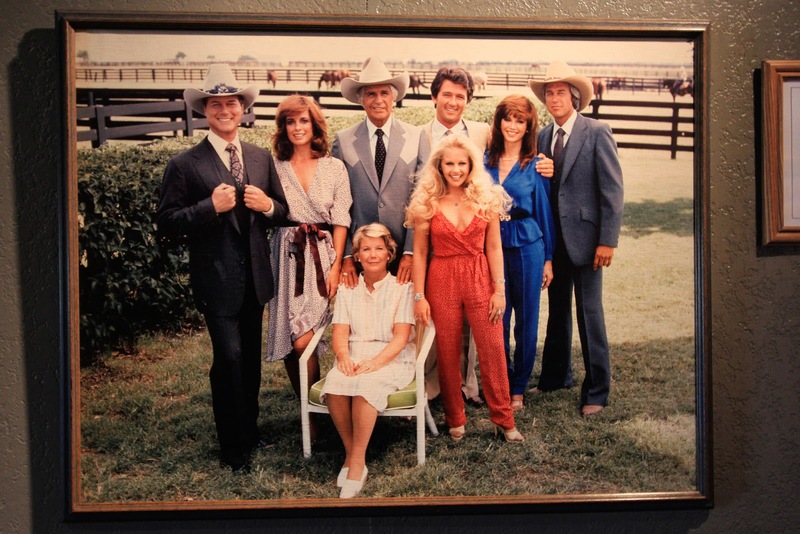 Larry Martin Hagman was best known for playing the ruthless oil baron, sadly he passed away in 2012. I loved his scheming and machiavellian character. After reading this I can't get this bloody theme music out of my head.